Description: Bring a minimalist, industrial look into your home or business with the Cilindro Lowell Pendant. The architecturally styled pendant is handcrafted of Statuario Idalight on the exterior and complemented with a Contrail Mist Idalight inner diffuser. The shade is enhanced with Nickel powdercoated hardware and illuminates with a customer supplied, 34 watt LED lamp. 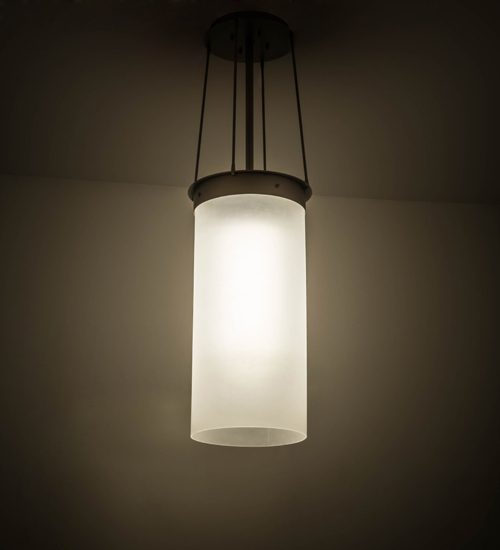 The fixture is handcrafted in the USA by highly skilled artisans. Custom sizes, styles, colors and dimmable lamping are available. This pendant is UL and cUL listed for damp and dry listings.